Remembering the late Professor Emeritus Gilbert Herbert, an architect whose award-winning creative and academic output spanned decades and continents. Professor Emeritus Gilbert Herbert – a Fellow of the Royal Institute of British Architects (RIBA) and the Royal Australian Institute of Architects, a member of SAIA, a distinguished educator and the author of 10 books in the field of architectural history − passed away on 10 July 2017 in Haifa, Israel. Gilbert Herbert was born in Johannesburg on 22 June 1924. Educated at Parktown Boys High School, he studied architecture at the University of the Witwatersrand (1942-46). He was a frequent prize-winner and on several occasions received the accolade ‘Scholar of the University’. In March 1947, he was awarded his Bachelor of Architecture degree, and was offered a teaching post at the university. Later that year, it became a full-time lectureship. At the end of 1949, he received a government scholarship to study systems of architectural education. He spent the following year at the Bartlett School, the Architectural Association, the University of Liverpool, Columbia University, Harvard and MIT. He was later awarded a Master’s in Architecture for the dissertation ‘Academic education in architecture’. In 1951, he studied for a Postgraduate Diploma in Town Planning. In Johannesburg, Herbert continued his academic career while maintaining a modest architectural practice. Most of his work was residential, but two major buildings were the unique Cinerama Theatre and – as part of a team – the John Moffat Building, which housed the Faculty of Architecture and the Department of Fine Arts at the University of the Witwatersrand. The most prestigious South African architectural award was the Baker Scholarship, awarded every four years. Herbert was a Baker Scholar for 1957, so he spent the year between Italy and England. The resulting report, ‘The real and the ideal in Italian architecture’, appeared as several articles in the South African Architectural Record and the RIBA Journal. The South Africa to which the Herbert family eventually returned was in political turmoil. Vital decisions had to be made. When the opportunity arose to take up a senior academic post in Australia, Herbert accepted it. In 1961 Herbert took up the position of Reader in Architecture and Town Planning at the University of Adelaide. The Herbert family integrated well into the university, the wider national academic framework, and the small Jewish community. The seven years in Adelaide were remarkably fruitful ones academically, and Herbert’s career flourished as his reputation grew both in Australia and abroad. Together with this expansion of output came another significant development. The Herberts were scions of families with a healthy sense of their Jewish identity and Zionist loyalties. In Adelaide, these were transformed from the passive to the active sense. Planning their 1966 sabbatical, Israel was naturally on the itinerary. It was on this occasion that Herbert met with leading figures of the Technion (the Israel Institute of Technology) for the first time, and the question of joining the staff was raised. When at the end of 1966 he returned to Adelaide, this move had already become a goal. The Herberts came on Aliya in August 1968, after a traumatic interregnum caused by the Six-Day War, internal strife in the Technion, uncertainty about the future, and the Herberts’ wish to celebrate their son’s bar mitzvah in Johannesburg. On arrival in Haifa, Herbert took up his temporary post as an associate professor, an act of faith for someone who had held a tenured position since 1947. That faith was vindicated as temporary status became permanent; associate professorship became full professorship; his South African doctorate (DLitt et Phil) was confirmed; and the confidence of his colleagues won over when, in 1973, he was elected Dean of the Faculty. During the Yom Kippur War, Herbert led the faculty with consummate skill during this period of turbulence and tragedy. Academic achievements were recognised. Herbert was awarded the Mary Hill Swope Chair in Architecture, founded and directed the Architectural Heritage Research Centre, received a string of prizes and awards, including an Honorary Doctorate in Architecture from the University of the Witwatersrand. Research flourished, international exhibitions were curated and designed, a multitude of theses and dissertations was supervised, an increasing number of his graduate students became teachers and researchers in their own right − and the flow of notable publications increased. Visiting appointments brought Herbert to universities in Brazil, South Africa, Australia and the United States. 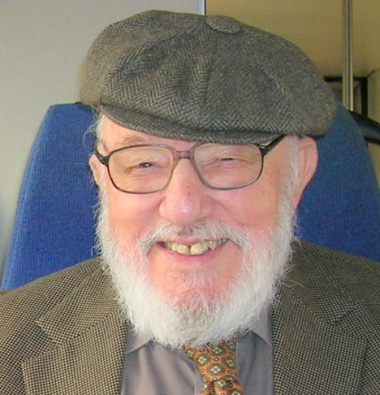 When, in 1997, the Technion celebrated Herbert’s 50th year as a teacher and researcher, the volume it produced of his writings, The search for synthesis – the Jubilee edition, was his seventh book. During the many years after his retirement in 1993, that creative output never ceased. In his 89th year, his 10th book on architectural history was published. In 2015, the Faculty of Architecture organised a well-attended public function celebrating Herbert’s life and achievements, with personal tributes and several addresses on topics of architectural history relevant to his work. Herbert’s initiative, diligence and breadth of interests enabled the publication of 10 books, each written with vital and lucid prose and each invaluable with its inclusion of political, social, economic and cultural history in the analysis and understanding of a previously unrevealed aspect of modern architecture. 1959: The synthetic vision of Walter Gropius. Johannesburg: Witwatersrand University Press. 1975: Martienssen and the International Style: The development of modern architecture in South Africa. Cape Town and Rotterdam: AA Balkema. 1978: Pioneers of prefabrication: The British contribution in the 19th century. Baltimore and London: Johns Hopkins University Press. 1984-1986: The dream of the factory-made house: Walter Gropius and Konrad Wachsmann. Cambridge, Mass. : MIT Press. 1993: Bauhaus on the Carmel and the crossroads of Empire. Jerusalem: Yad Izhak Ben-Zvi (with Silvina Sosnovsky). 1996: The beginnings of modern architecture in Israel: The first power stations, 1921-1932. Haifa: Architectural Heritage Research Centre, in association with the Israel Electric Corporation (with Ita Heinze-Greenberg). 1997: The search for synthesis: Selected writings on architecture and planning. Haifa: Architectural Heritage Research Centre. 2003: In search of excellence: The architecture and building projects of the electric industry in the land of Israel, 1921-1942. Haifa: Architectural Heritage Research Centre, in association with the Israel Electric Corporation (with Ita Heinze-Greenberg and Silvina Sosnovsky). 2008: Through a clouded glass: Mendelsohn, Wijdeveld and the Jewish connection. Tübingen-Berlin: Wasmuth Verlag (with Liliane Richter). 2013: The collaborators: Interactions in the architectural design process. UK: Ashgate Publishing Ltd. (with Mark Donchin).